With women making up nearly half of the workforce yet holding just 25% of executive, senior-level, and management roles across S&P 500 companies, it’s clear there’s work to do to increase gender diversity and level the playing field. At Criteo, Emily Sinsheimer and Dhoreena Ventura recognized that change starts from within, so why not begin with the Criteo community? Tuesday, October 3, marked the inaugural meeting of Criteo FLOW (Future Leaders of the World), an initiative dedicated to building, supporting, and inspiring leadership at Criteo. 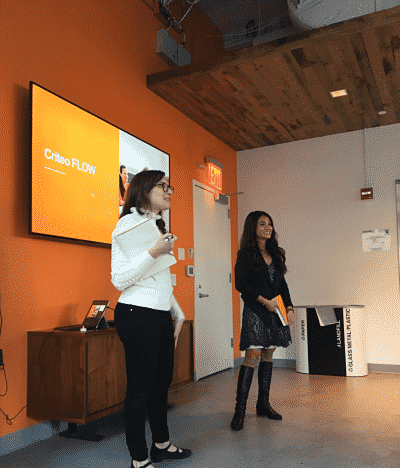 FLOW will hold monthly or quarterly meetings and provide content to help Criteo professionals build strong leadership toolkits. So stay tuned for more updates as we host more awesome FLOW sessions!